"The Wakefield Department of Public Works is one of the youngest town departments, having been founded in the 1950s. Responsible for the maintenance of public properties, buildings, parks, trees, cemeteries, sidewalks, roads and highways, and for providing water and sewer service to the town, the DPW has a total of 83 employees in the various divisions. Prior to its formation, the departments now consolidated under the DPW were the responsibility of other town boards and sometimes acted as an independent entity. The Highway Department and the Public Building Department reported directly to the Board of Selectmen, and the Water and Sewer Department, the Forestry Department and the Cemetery Department operated on their own. Today the DPW reports to the Board of Public Works, a town board with five members elected for three year terms. T here are currently nine divisions reporting to the DPW Director: administration, equipment maintenance, public buildings, forestry and parks, cemeteries, highway, engineering, water and sewer. The DPW administration office is located in the Wakefield Town Hall and operates out of the Town Garage on North Avenue where the 56 registered vehicles are housed. Other DPW divisions are associated with the Nahant Street pit-storage area for salt and sand, loam, gravel, pipe, curb, snow disposal and leaf composting Broadway Pumping Station - headquarters for the water and sewer division, pumping station for Crystal Lake, and the control center for the Linden Street Pumping Station the Linden Street Pumping Station in Greenwood - the main source for the Massachusetts Water Resource Authority, the supplier of 80 percent of Wakefield's water and the Farm Street Sewer Pumping Station - the main sewer pumping station for Wakefield." -- Text from calendar. ;Captions: 1. The Wakefield Water Company's Pumping Station and Superintendent's residence on the northern banks of Crystal Lake. 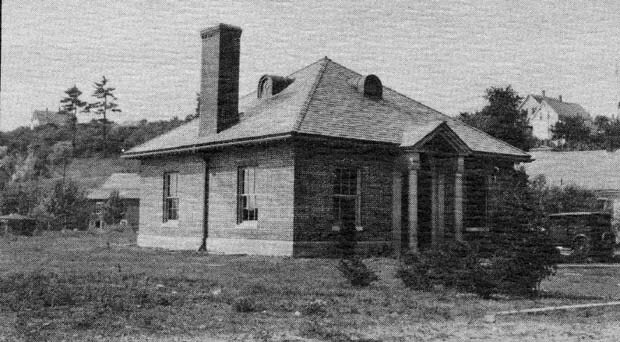 The stations was built in 1883. -- 2. The Wakefield Sewer Department's low level pumping station on Water Street, 1929. -- 3. 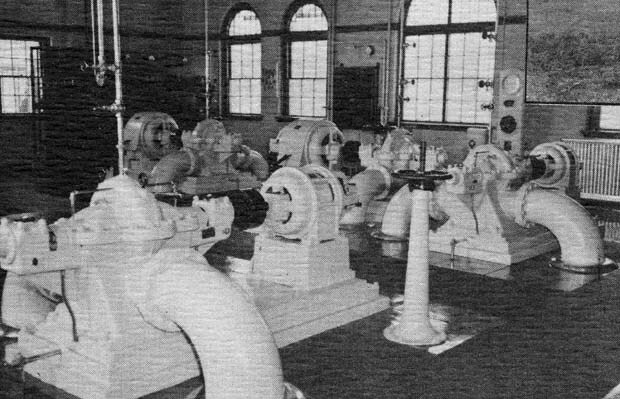 The Broadway Pumping Stations, 1961. “Department of Public Works,” NOBLE Digital Heritage, accessed April 22, 2019, https://digitalheritage.noblenet.org/noble/items/show/6916.